Bank Street in Ottawa's Glebe neighbourhood is reopen to traffic after road and sewer work closed the main street for close to six months. Work to replace old sewers and expand sidewalks began in May, which shut Bank St. down to commuters from the Queensway to the Bank Street bridge. Last month, the city reopened part of the road from Fifth Avenue to Glebe Avenue. Coun. 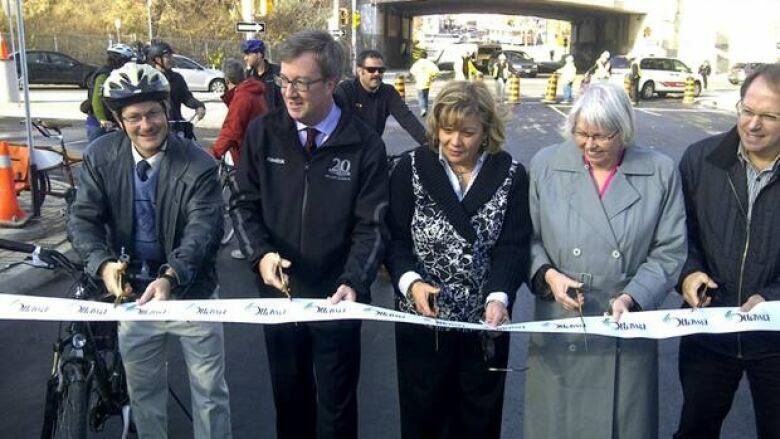 David Chernushenko and mayor Jim Watson helped officially reopen the street to traffic at 1:30 p.m. Tuesday afternoon. Chernushenko said workers would be back in the spring to add the final layer of asphalt and install street furniture and public art. "The entire street will be that much more functional and attractive when the work is completed by next June," said Chernushenko in a statement.